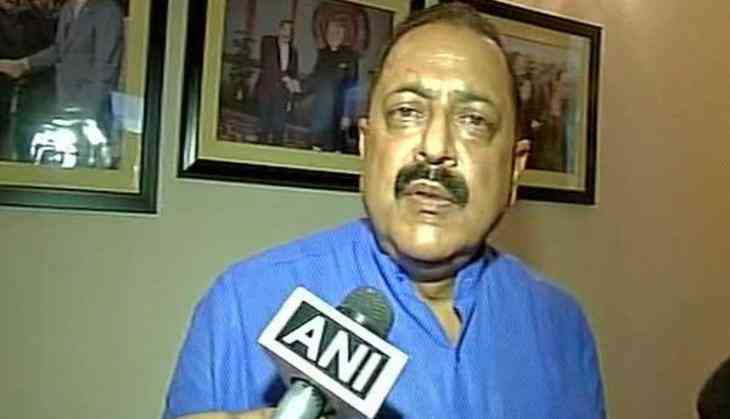 Minister of State in Prime Minister's Office (PMO) Jitendra Singh on 29 July criticized Jammu and Kashmir Chief Minister Mehbooba Mufti's remark on the Indian flag calling it ridiculous and categorically stated that the flag will fly high in the Valley as much as it does in any other state. Speaking to ANI, Singh said, "This is the most shocking and ridiculous statement which Mufti has made. Tricolour is sacrosanct to us. It will fly high in Jammu and Kashmir as much as it does in any other state of the Indian Union. Being in power does not make one misuse it!". Yesterday, Mehbooba warned that any change in Article 35(A) of the Constitution, which gives a special state provision to Jammu and Kashmir and is being debated in the Supreme Court would not be in favour of the people living in the Valley and would invite repercussions. Article 35(A) of the Constitution empowers the state legislature to define permanent residents and accord special rights and privileges to the people of Jammu and Kashmir. "Any tempering with Article 35(A) won't be acceptable. I won't hesitate in saying that nobody will even carry the corpse of the National Flag in Kashmir, if it happens. Let me make it very clear," she said.